Democrat Gaye Symington has a tough fight ahead in the campaign for governor. Voters are concerned about gas and fuel prices and the Vermont economy; and state leaders are worried about more budget cuts this Fall. 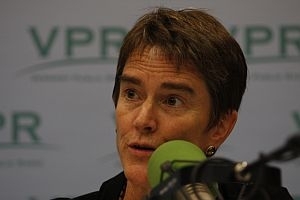 VPR’s Bob Kinzel talks with Gaye Symington about these issues, and why she’s the right person to address them from the governor’s office.